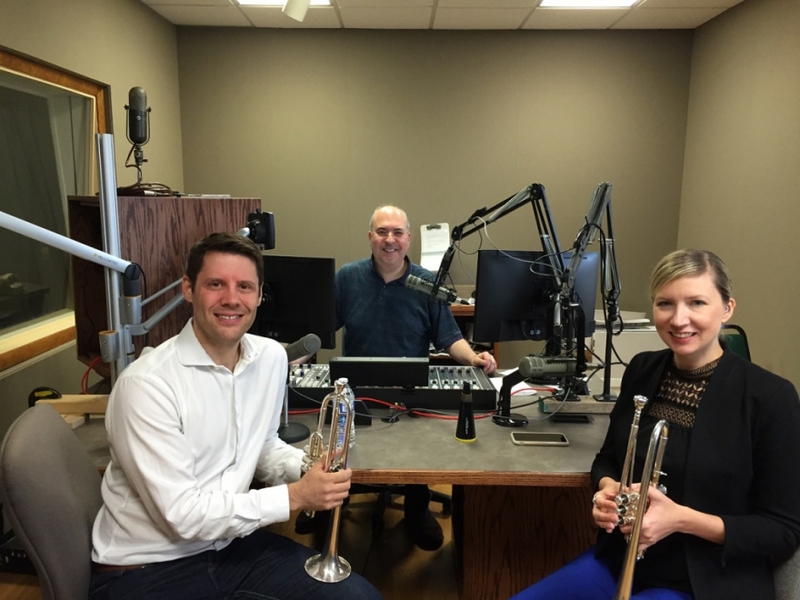 Trumpeters Mary Bowden and David Dash (The Dash Duo) are in town to perform with the Richmond Philharmonic this Sunday afternoon (4:00 p.m.) at the Collegiate School. The program includes several overtures that feature the trumpet, with the duo performing the “Carmen Fantasia for Two Trumpets & Orchestra,” music of Georges Bizet arranged by Donald Hunsberger. Mary and David stopped by our WCVE Music studios to perform a few excerpts and talk about their ties to Richmond. You may already be familiar with Mary from her work with the Richmond Symphony and the Seraph Brass.